Aitoc is excited to announce its new strategic partnership with CopPay. The popularity of cryptocurrencies is rapidly growing, and ecommerce is one of the fields that can benefit the most from this promising trend. Thus, Aitoc has partnered with CopPay, a multicryptocurrency payment system, to help ecommerce businesses keep up with the times and adopt the new technology faster. CopPay is a decentralized multicryptocurrency payment platform for businesses and customers. This breakthrough blockchain project aims at driving cryptocurrency payments throughout the industry. The company will enter the European market, including Germany, the Netherlands, and Baltic countries, by the end of 2017. For 2018, CopPay is going to expand its services globally. 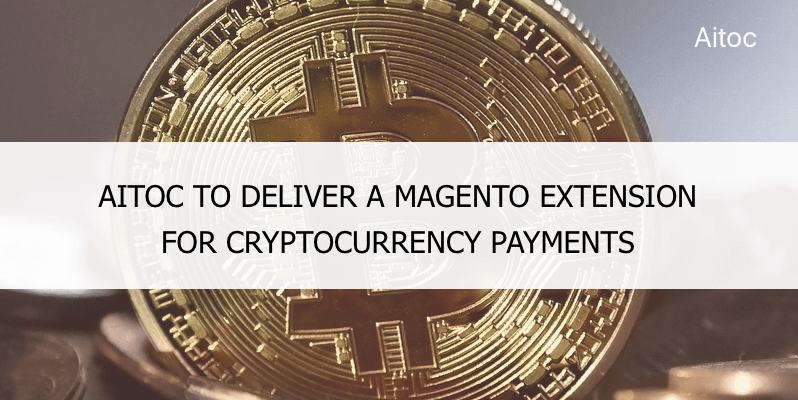 With its extensive hands-on experience of working with the Magento ecommerce platform, Aitoc will deliver a next-gen extension to integrate CopPay payment terminals with Magento. As a part of the agreement, Aitoc will also provide the full range of technical support services to CopPay.